Suitable for home and teaching use. Tests measure nutrient levels. 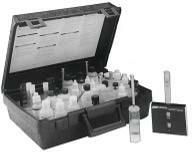 Measures pH (range 4.0-8.0), nitrate nitrogen (5-200 ppm), phosphorus (range 3-30 ppm) and potassium (range 0-250 ppm). 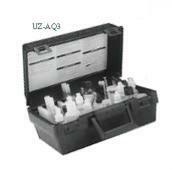 Kit and refill pack include enough reagents for 50 tests. Packaged in a rigid plastic carry case. Includes hydroponic manual.